Nett Jan 28 2018 1:07 am Hajime Saito in Rurouni Kenshin is brought back to life by him. Thomas Andre Saldaña Apr 09 2017 1:49 am Woah! This Japanese guy is very cool, and awesome to his own job career as well. Thanks to those well-looking images from the Net, Eguchi-san! Regards to his wife, Moritaka-sama, well, just to take care with love and as well as, his (or their) children for their future. They will be blessed for more life (Hope is well so). Lastly, this is a greeting from the Philippines! ohimesama Feb 18 2015 11:21 pm Perfect as Hajime Saito! Zahra Mar 30 2014 3:31 pm Dinner was broadcasted in my country during new year holiday and we really enjoy watching it especially because of actor Yosuke Eguchi. With the best Wishes For Yosuke Eguchi. shohreh Mar 30 2014 1:41 am I like cooking and I like & I like this film very much. It truly is a chef's chef. tensai420 Apr 13 2013 6:01 am awsum actor !!! 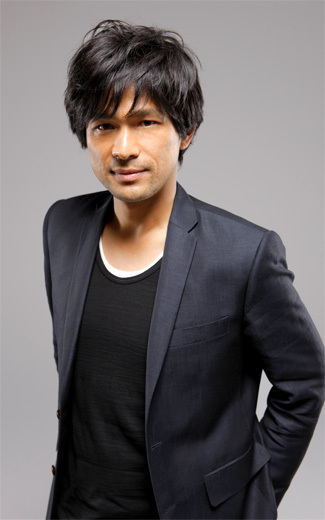 he was amazing in dinner as ezaki san *_* !!! mary Dec 03 2011 10:52 pm Coool Guy !! I love his acting ! !